Clarke, O’Brien, Kenna, Price, Bermingham; McFaul, Brennan, Gannon (Russell H-T); Kelly; Forrester (Byrne H-T); Fagan (Flood 63). Doherty, Madden, Molloy, McBride, Jarvis; Curran, McEleney, Rafter (Griffin 67); B McNamee, McDaid; Patterson (Foy 82). 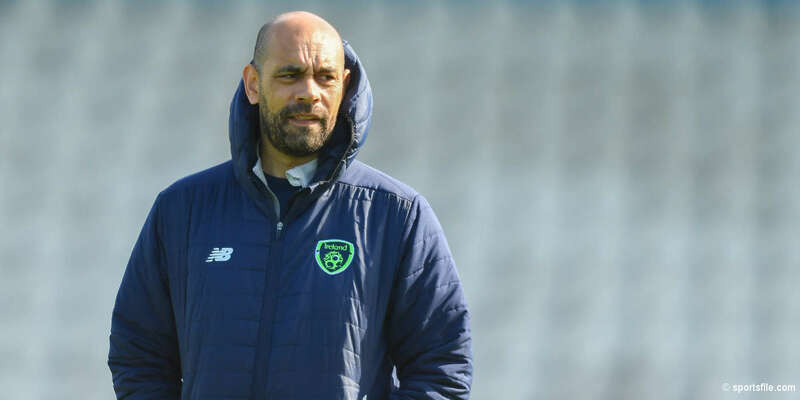 Champions St Patrick's Athletic secured a point in their penultimate game of the season after a 1-1 draw against Derry City. 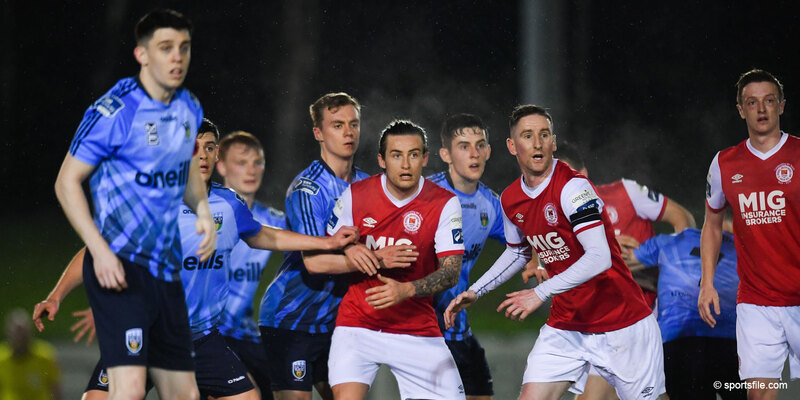 Trailing 1-0 at the break after Barry McNamee gave City the lead just after the half-hour mark, Anto Flood's wonder strike nine minutes from time levelled the match. Sean Gannon went close to giving the home side the perfect start but the midfielder's low drive from the edge of the box was superbly kept out by Gerard Doherty. The visitors went close themselves minutes later when Michael Rafter picked up possession after Conor Kenna slipped 25 yards from goal, but fortunately for the defender Rafter's low drive was straight at Brendan Clarke. 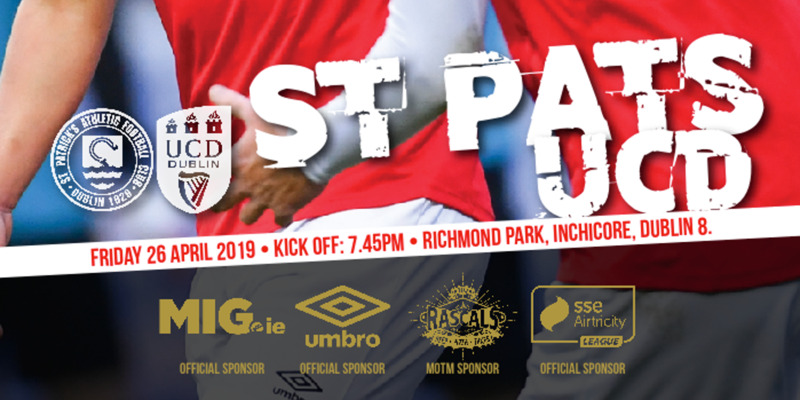 Soon after the woodwork came to St Pat's rescue after Patrick McEleney got the ball back from Rafter from a short corner down the left before cutting inside and calmly curling an effort over Clarke, but it smacked against the bar. On 25 minutes a super ball out of defence by Aiden Price found Christy Fagan, who got in behind City's make shift centre-back Barry Molloy, but the striker's shot was turned away by Doherty. The deadlock was broken on 34 minutes following some smart play by the lively Ryan Curran. The youngster picked up possession 25 yards from goal down the left hand side and his clever pass found Barry McNamee who calmly took a touch before slotting the ball past the out-rushing Clarke from 16 yards. Liam Buckley made two changes at the break with Conan Byrne and John Russell replacing Chris Forrester and Brian Gannon, as they looked to get back into the game. Despite not troubling Doherty in the City goal, those changes certainly made things better for the home side but they nearly fell a goal further behind just after the hour mark. City passed the ball about nicely for a few minutes before Mark Griffin got himself some space inside the box, but his low shot on the turn flashed just past Clarke's right hand post. As the game entered the final quarter it was Derry who went close to scoring again, this time Ryan Curran got away from Conor Kenna, but his right footed effort from just inside the box was dragged well wide. That missed chance by Curran came back to haunt the visitors as Pat's drew level in outstanding fashion on 81 minutes when substitute Flood picked up possession down the left before cutting inside onto his right foot and firing the ball high past Doherty. The goal capped a wonderful night for the Saints supporters, who celebrated throughout, while the decibel levels increased markedly when captain Conor Kenna triumphantly lifted the Airtricity League trophy.